In this digital era, organizations need to create new e-learning courses and update existing ones continuously, and, quickly. They also need to keep development costs down without compromising on quality. 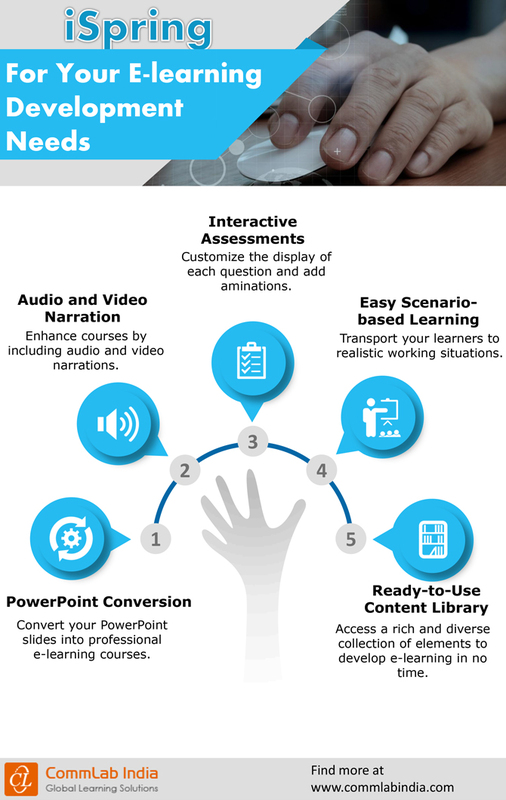 Rapid authoring tools are the best way to develop e-learning courses, rapidly. However, there are many authoring tools out there with various features to make the e-learning development process as easy as possible. Which one should you pick? Consider using the iSpring Suite 8.7, an easy-to-use, fully stocked e-learning software. Here is an infographic that shares the features and functionalities of iSpring, to give you an idea of its capabilities. Ispring: Is It the Right Authoring Tool for Your Training Needs?